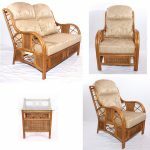 Our Clevedon synthetic rattan weave furniture is all about quality. Rather than being mass-manufactured, it is tightly hand woven around the frames by expert weavers. 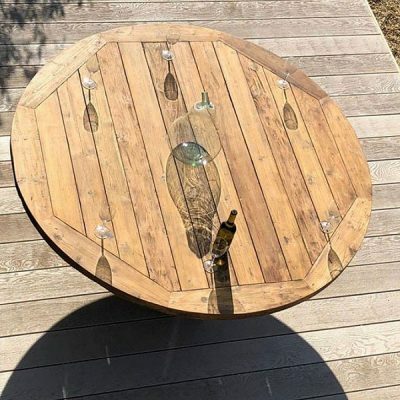 Not only does this gives the furniture added durability and strength, it also creates that hand-crafted effect that shows the furniture was created with skill and with care. Comes with Black Pinstripe Cushions. 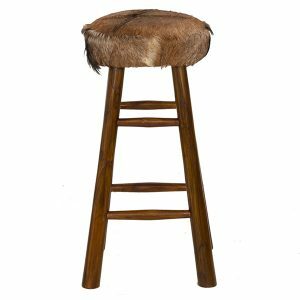 This funky Set of 4 Natural Teak Goat Skin High Bar Stools has been crafted using solid teak branches and pieces of reclaimed teak root, topped off with soft, natural hide, goat’s skin cushions. 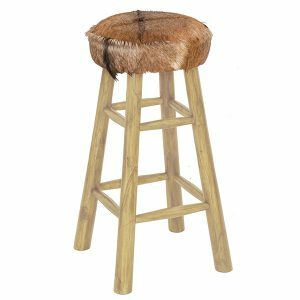 Because these stools are made from natural hide, colours and patterns may vary. The same stools are also available in a dark wood finish, as shown in some of the photos. 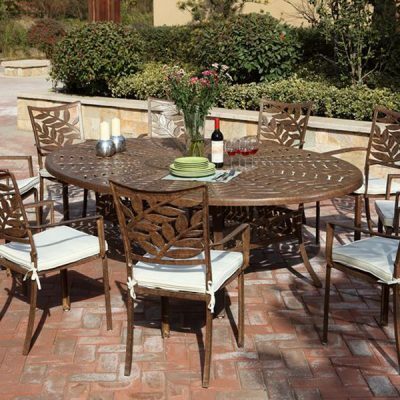 With its delicate leaf designs and cinnamon colouring, this 6 Seater Cast Aluminium Dining Set looks great indoors or outdoors and is low maintenance and long-lasting. 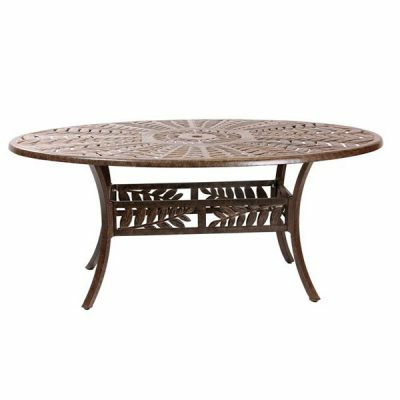 Includes 1.7m, oval, cast aluminium table with 51mm parasol hole and 6 armchairs with FREE outdoor seat cushions. 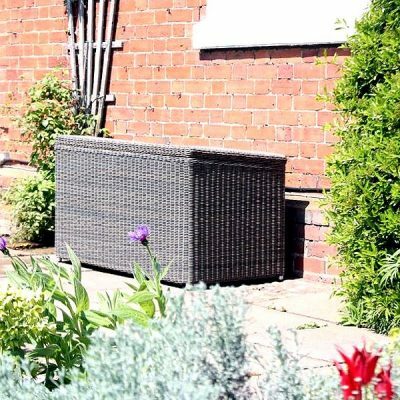 This contemporary, medium size, Scarborough Outdoor Rattan Storage Box has a gently sloping lid, insulating inner seal and is fully waterproof. 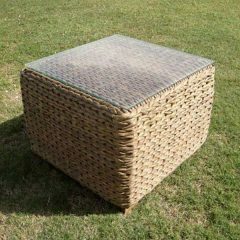 Made from an all-weather, synthetic Ecolene rattan, the box is perfect for cushions, blankets, throws, toys or other outdoor equipment. Our Bude outdoor rattan furniture collection is manufactured in an ingenious, eco-friendly, synthetic Water Hyacinth rattan weave which brings luxury and comfort to your garden, patio or outdoor area all year round. And when it comes to outdoor luxury and comfort, this stunning Bude Apple Shaped Rattan Garden Day Bed has to be the top of the tree. Just imagine yourself curled up inside the day bed with a good book and a glass of wine, or enjoying relaxing inside it with friends and family. 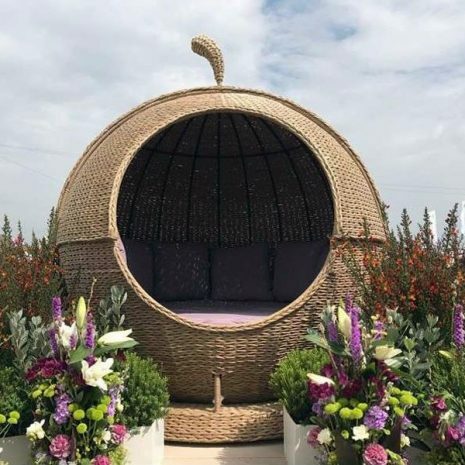 And you don’t need a sunny day to enjoy it because the Bude Outdoor Rattan Apple Day Bed is an all-weather piece of outdoor furniture. 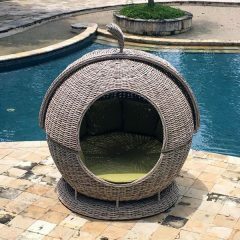 We think you will love how the apple day bed rotates 360 degrees on its base and how the top section swivels nice and smoothly too. 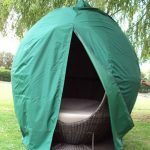 What is this Apple Day Bed Sofa Lounger made from and can I really leave it out in my garden all year round? 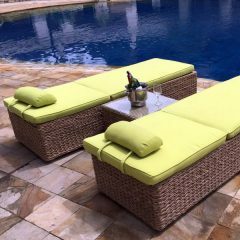 The day bed’s main material is a synthetic Water Hyacinth weave which has some amazing qualities and is ecologically friendly. 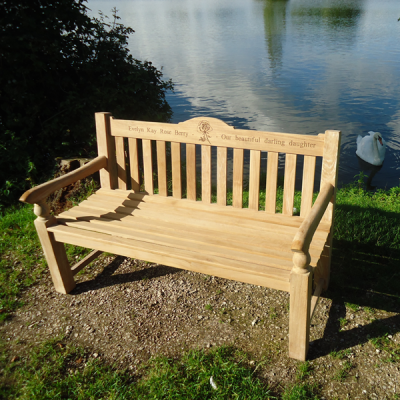 It is modelled on the natural Water Hyacinth that comes from Indonesia where it grows so abundantly in the lakes and rivers that local people have to harvest it in order to keep those waterways clear. 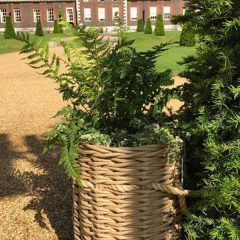 When dried, the roots of the plant are perfect for weaving, just like natural rattan. However it is much softer, so can be hand woven and plaited into funky, chunky furniture designs that feel and look more modern and contemporary. 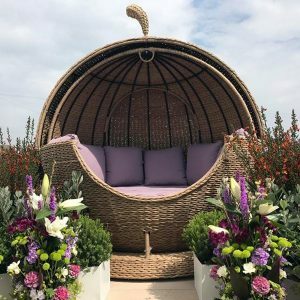 Created for you in this style, but in a completely synthetic Water Hyacinth weave which is suitable for year-round outdoor use, is the Bude Apple Shaped Rattan Garden Day Bed. 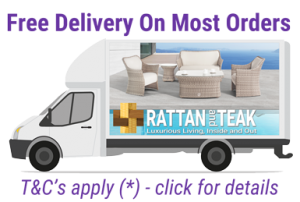 The plump, no-sag cushions that are included in the price of the day bed come in a choice of 4 fabulous colours: Sandstone, Black Pinstripe, Lime and Lilac. 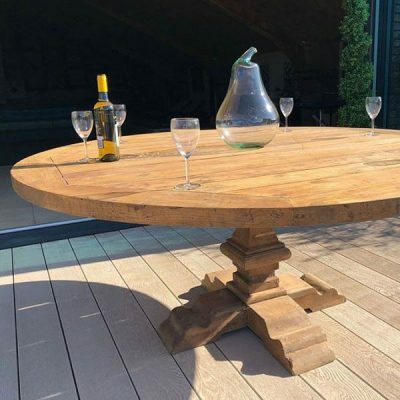 They comply with UK fire retardant regulations and are made from quality Olefin fabric which is tough, hard wearing and resistant to water, UV and chemicals which reduces staining. The cushion covers are removable too, making them easy to clean when you want to. 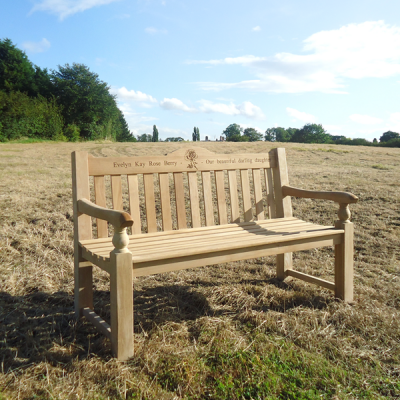 But it’s not just how good something looks on the outside that counts, and with the Bude range, you can relax and enjoy your furniture, safe in the knowledge that there is quality on the inside too. 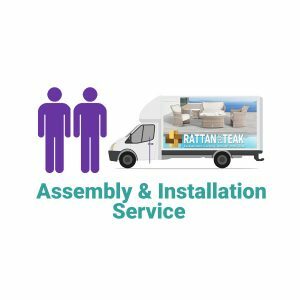 The day bed frame is made from rust proof aluminium which means that it is both strong and light weight so you can move it around easily to your choice of location. 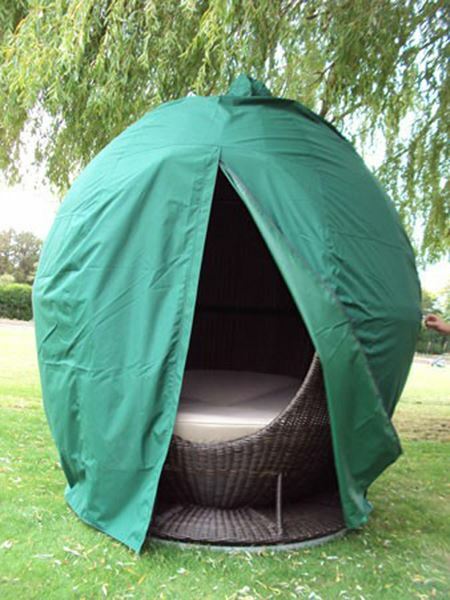 We want you to be 100% happy with your Bude Apple Day Bed. 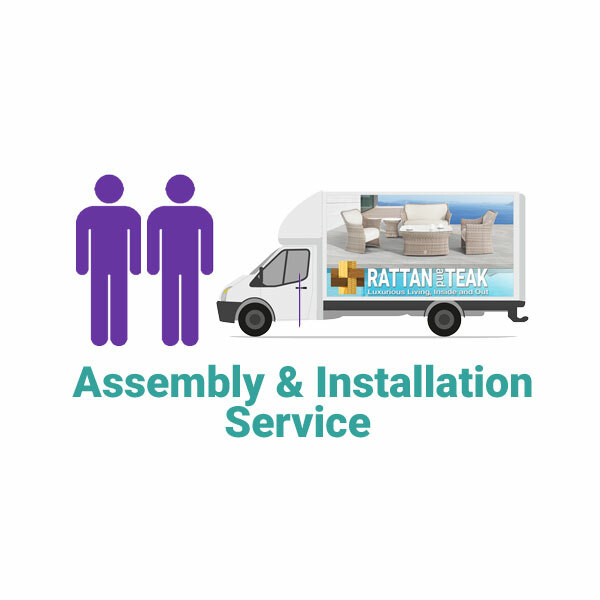 That’s why we offer you FREE Gold Delivery and Installation with your purchase. 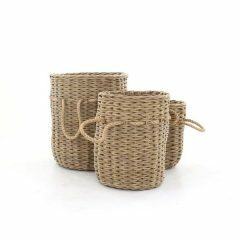 Hand-woven, eco-friendly synthetic Water Hyacinth weave that is soft to touch and which is thermally bonded, making it even tougher when wet. 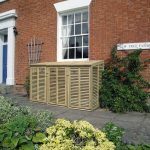 Sturdy, light-weight and rust free Aluminium frames that are easy to move. Very low maintenance. A simple wipe down every now and again will keep your furniture in tip top condition. No problem, we can send you a FREE Sample so you can appreciate exactly why this weave is so special. 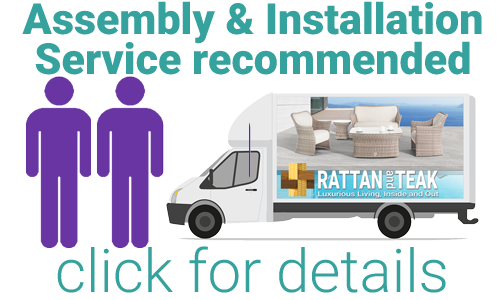 You can read more about the latest developments in garden rattan furniture in the May/June issues of the Stratford-upon-Avon Directory and, for an extended article, see our blog, The Rattan Revolution. 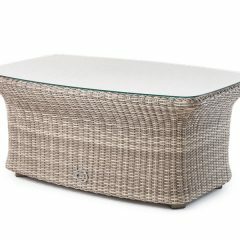 The frames of our outdoor rattan furniture are made from sturdy, light-weight and rust free Aluminium. 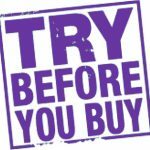 The hand-crafted Water Hyacinth weave is environmentally friendly and outstandingly weatherproof, colourfast, UV resistant, dirt resistant, easy to clean and maintenance free. 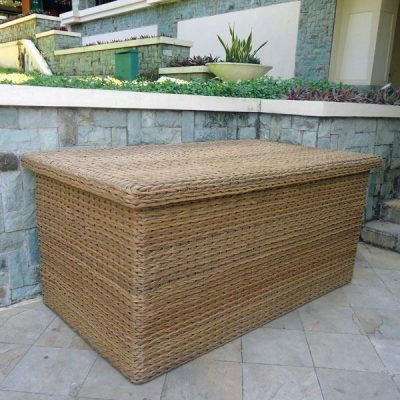 The synthetic rattan is thermally bonded, making it even tougher when wet. Strandlene cross-weaves support the main blanket of weave making it more close-knit and tight fitting around the frame. 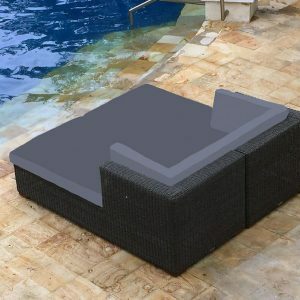 The Olefin cushion fabric complies with UK fire retardant regulations and is waterproof and treated with UV Stabilisers to reduce fading. Cushions filled with firm, no sag filling that do not retain moisture. 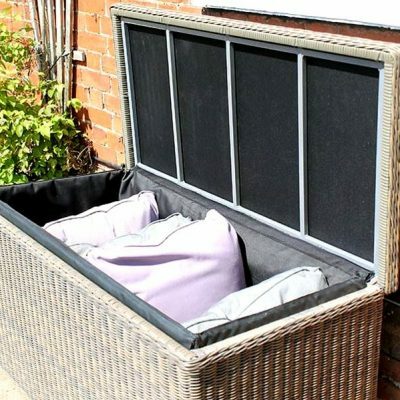 Made from UV resistant, waterproof, heavy duty Polyester which is UPVC lined and seam taped to provide your Apple Day Bed complete protection all year round. 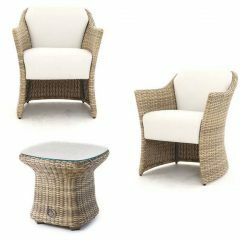 Our Poole outdoor furniture is made from a thick core, rattan weave which gives it a robust yet natural look …the perfect blend of the rustic and the contemporary. 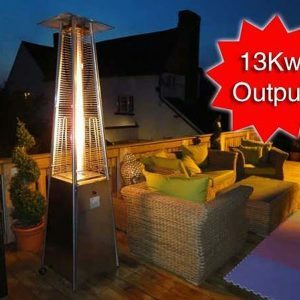 Buy a Poole Apple Day Bed today and get a Free Tambora Patio heater, free heavy-duty weather cover and free assembly and installation worth over £490. 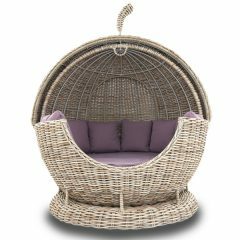 You won’t want to wait for the sun to come out when you see this Bude Rattan Double Sun Lounger Set with optional Side Table and FREE luxury cushions. Plus FREE delivery. 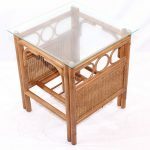 This Bude outdoor rattan square garden side table, which comes with a tempered glass top, is manufactured in an ingenious synthetic Water Hyacinth weave which brings luxury and comfort to outdoor area all year round. The Sandbanks AquaMax Garden Rattan Double Sun Lounger, with easy-pull mechanisms to raise and lower the back supports, offers the ultimate in luxury and relaxation. 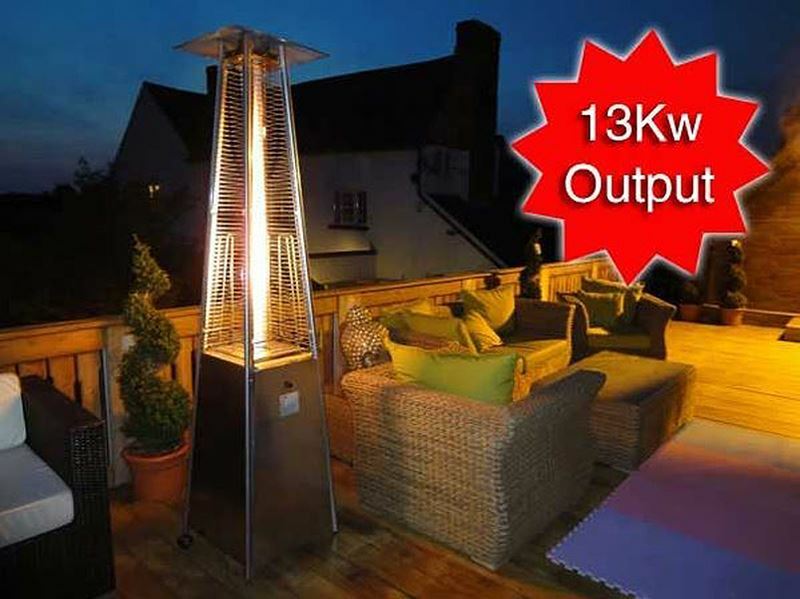 Buy today and you will get 2 Free Side Tables and Installation worth £470. 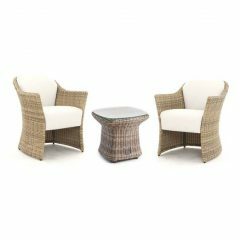 This Sandbanks AquaMax Outdoor Rattan 2 Seat Garden Bistro Set comprises two deluxe AquaMax rattan garden armchairs and a glass top, outdoor rattan table. 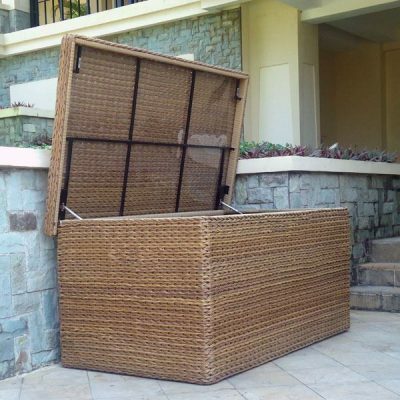 The furniture Aluminium frame and Rattan weave are guaranteed for 3 years and the fabrics have a 2 year guarantee. 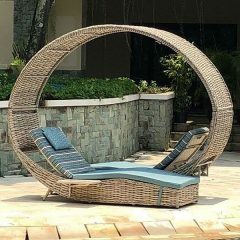 Have you ever seen a sun lounger or day bed more lovely than this? 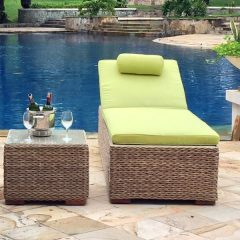 The Poole Outdoor Rattan Garden Love Lounger is the perfect piece of garden or pool-side furniture for two. 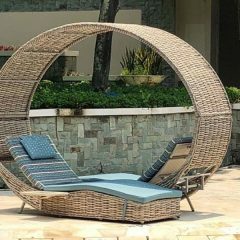 Forming a stunning, giant, circular shape, two sun loungers are linked by a removable sun canopy. 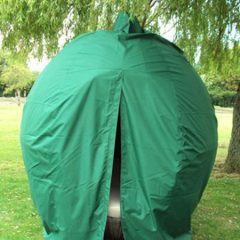 So you can enjoy special moments in the sun without getting burned, or if you want to soak up the sun, you can simply remove the canopy shade. 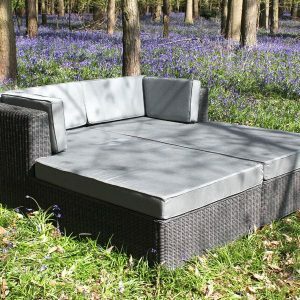 Comes with FREE all-weather lounger cushions in a contemporary blue pinstripe. 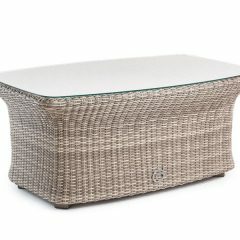 This gorgeous Sandbanks AquaMax Outdoor Rattan Glass Top Garden Coffee Table offers sleek, modern styling and soft curvy lines.